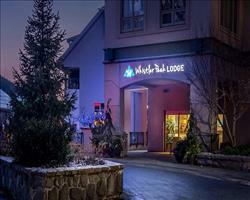 The Cascade Lodge is in an ideal location close to Whistler’s Marketplace and the pedestrian centre of the resort. 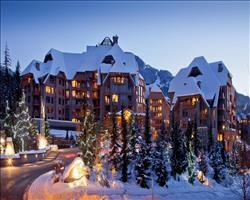 It is next to the Stoney Creek complex and opposite the Delta Whistler Village Suites. 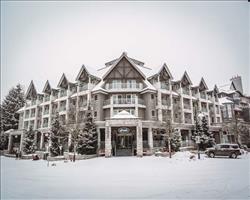 A wide variety of shops, bars and restaurants are within a couple of minutes walk of this property and the Whistler and Blackcomb gondolas are only 5-7 minutes walk away. Most guests walk to the skiing, passing our preferred ski rental shop on the way where you can leave rental equipment free of charge. If you’d prefer to take the free local shuttle bus it stops right outside. The Cascade Lodge is one of Whistler’s most popular condominium complexes because it offers a good choice of modern units furnished to a high standard within easy reach of all resort amenities. 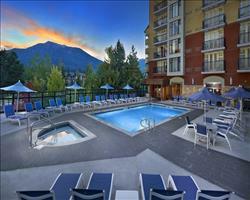 The complex also offers a hotel-style 24 hour concierge service and has the largest outdoor pool in Whistler Village. The VIP program, included in our price, entitles guests to complimentary local calls, free newspapers, in-room coffee, and discounts at selected local outlets. At the Cascade Lodge we offer studios as well as 1 and 2 bedroom condominiums. Studios are equipped with a queen bed, bath, iron, TV/VCR and kitchenette. 1 bedroom units have a full kitchen, a queen sofa bed in the living room and a gas fireplace. 2 bedroom units have an extra queen room with bathroom. 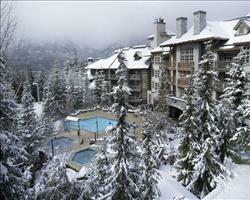 We update Whistler Cascade Lodge's details often, but facilities do change. e.g. some extras listed by the supplier as "free" or included might only be for the first time you use them, or for one time per party, then charged for further use. If any specific feature is essential to your holiday, make sure you ask us to confirm the details of it before you book your holiday. 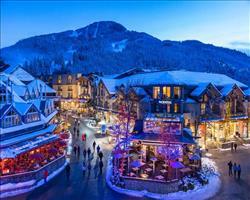 This package holiday to Whistler Cascade Lodge in Whistler, Canada departs Saturday 30th November 2019, for a 10 night stay on a "room only" board basis. Whistler lift pass price last reported as $624 (adult 6 day). 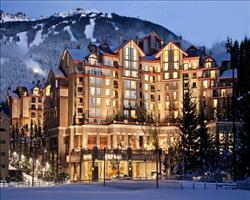 Ask for a quote when booking Whistler Cascade Lodge. 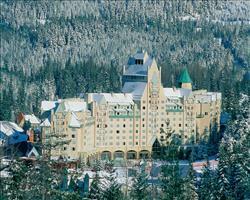 Summit Lodge Bout... Whistler Canada, Heathrow to Vancouver 30th November.